Finally, after months of trying and a number of Freedom of Information requests, it seems that the trustees of the Sand and Gravel Charity are now being told to follow the trust document. As regulars to this blog, many will know that Kirby Cane and Ellingham Parish Council deny ownership of Parish land and Assets. In so doing they could be said to be failing the villagers but, perhaps more importantly, are failing to uphold the law. I shall be exploring this with our MP MR Richard Bacon in the very near future. 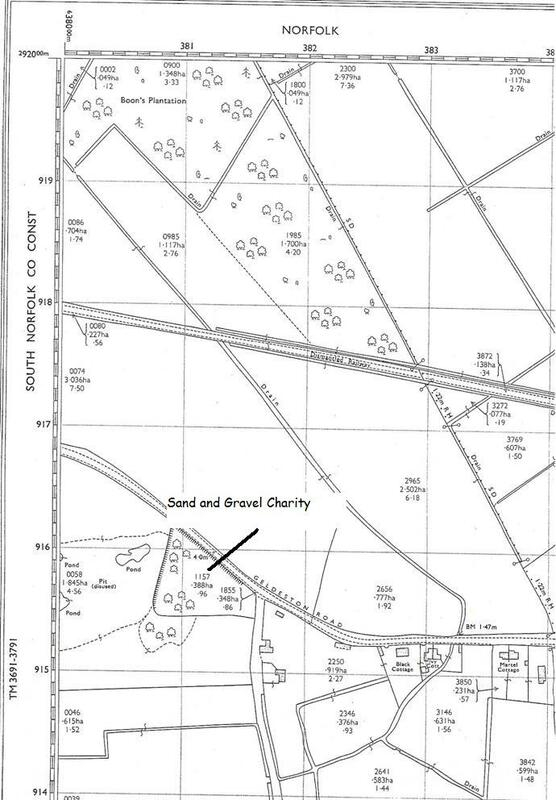 At the March 2015 meeting of the council there was another denial of Councillor’s duties with respect to the Parish Land assets BUT; there now seems to be an acceptance that the Sand and Gravel Charity does in fact belong to the parish. No explanations are given but quietly they have appointed the four trustees required by the Sand and Gravel Charity Scheme of Governance. Can we expect to see therefore the land shown here appearing in the assets register of KC&EPC? Sand and Gravel Charity Accounts 2015: This is the poor relation of the village charities but is never-the-less a valuable asset. Some time ago efforts were made to turn it into a nature reserve and to some extent this is how we find it at present. No income and no outgoings. This is the scheme of governance for the Sand and Gravel Charity that became “lost” for a number of years. As can be seen in the scheme, the management of the charity was placed into the hands of the Parish Council but, unfortunately, they failed to maintain a record of the charity and its trustees. When recently the charity was rediscovered, the then Parish Council decided to hand control of the charity to the trustees of the Ellingham United Charities. (Taken from the notes on EUC) What of the Sand and Gravel Charity? This is a small parcel of land on the boundary between Ellingham and Geldeston and in 1986 the sum of £105 was granted for the planting of trees on that site. It seems, through the Parish Council minute books, that the Parish Council has been responsible for the charity and in 1989 resolved that all Parish Councillors would be trustees for the Sand and Gravel charity throughout their terms of office. This was notified to the Charity Commissioners and the Rural Community Council. Parish Council minutes for 1991 also show that the charity was still in the care of the council. However, by 2011 the Sand and Gravel Charity become pretty much lost in the records. Now re-established, (after the author’s research), the Parish Council decided to pass the management of the charity to the trustees of Ellingham United Charities. 14. Letting. – The trustees shall let and otherwise manage the said land. The Trustees shall not withoutthe sanction of the Commissioners or a competent court create any tenancy wholly or partly in consideration ofa fine or for a term ending more than 22 years after it is granted or for less than the best rent obtainable.